Use the chart below to shop for Eaton ePDU power distribution sorted by input plug type and rack mounting configuration. In addition to the models listed below, we can also have an Eaton ePDU custom-made for the exact plug and receptacle options you need. If you have questions about plug types, please view our plug chart. 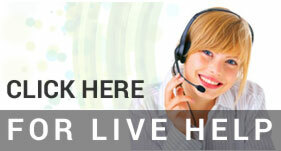 If you have any questions about an ePDU please call us at 888-330-2538 or contact us. Eaton Hotswap Bypass Switches provide service continuity to connected equipment during UPS maintenance or replacement. Eaton Basic ePDUs provide reliable power distribution in either vertical 0U or horizontal rack mount configurations. Designed for high-density,mission-critical applications, Eaton Monitored ePDUs allow you to remotely monitor via ethernet the current draw of the unit and individual sections, available in either vertical 0U or horizontal rack mount configurations. Designed for high-density,mission-critical applications that require the ability to remotely manage at the receptacle level, Eaton Switched ePDUs allow you to remotely reboot or lockout servers via ethernet, available in either vertical 0U or horizontal rack mount configurations.